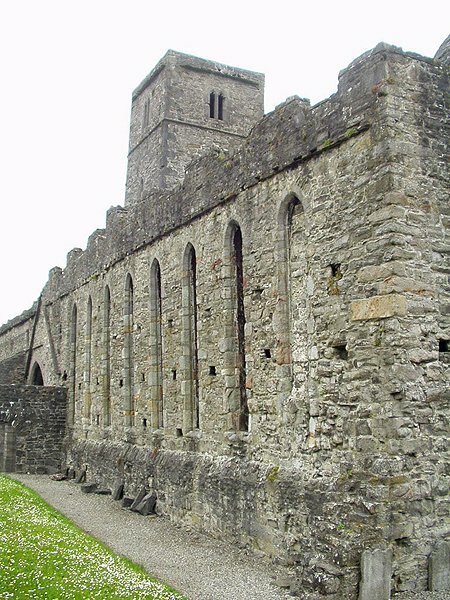 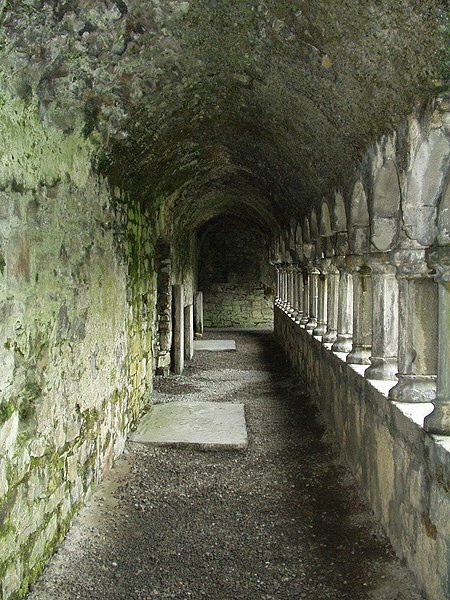 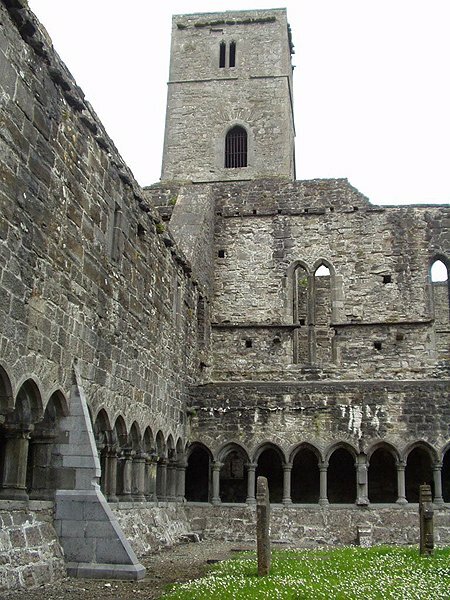 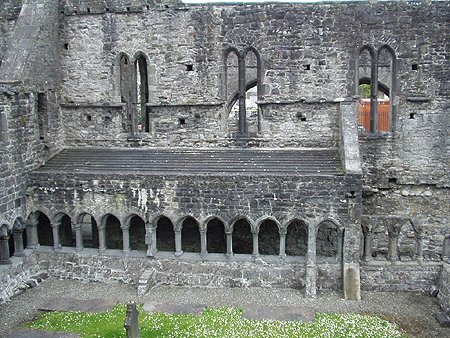 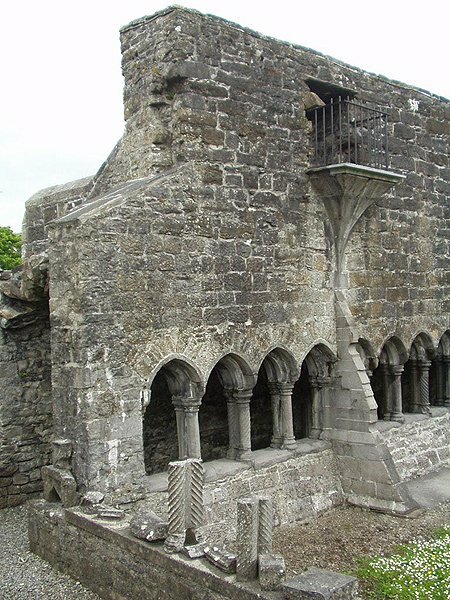 Known locally as the Abbey, this Dominican Friary was founded in the mid-13th century by Maurice FitzGerald, Baron of Offaly. 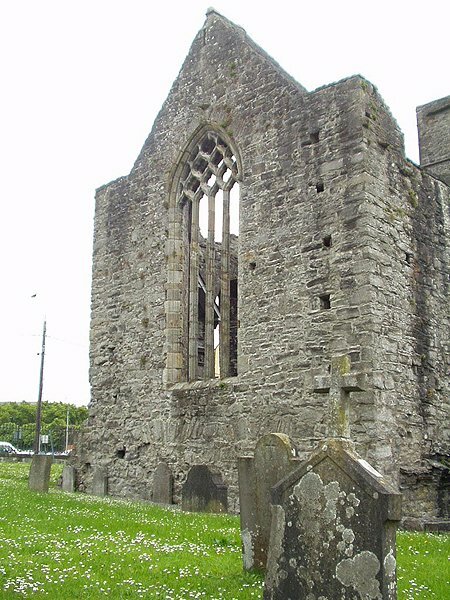 The Abbey has had a turbulent history, having been destroyed by fire in 1414, gutted during the Tyrone War of 1595 and attacked during the Ulster Rising of 1641. 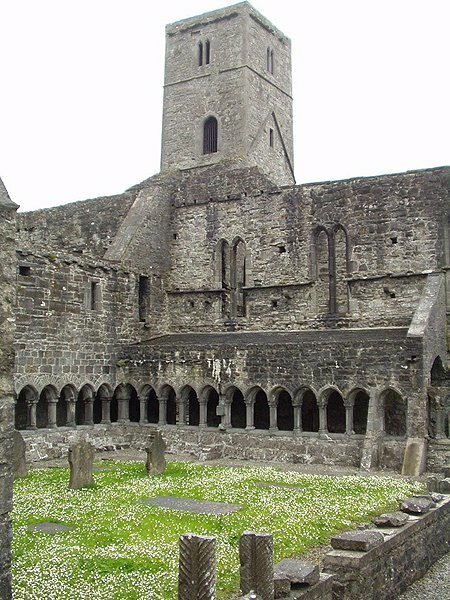 Despite this, friars continued to inhabit the abbey until the 18th century when the community moved. 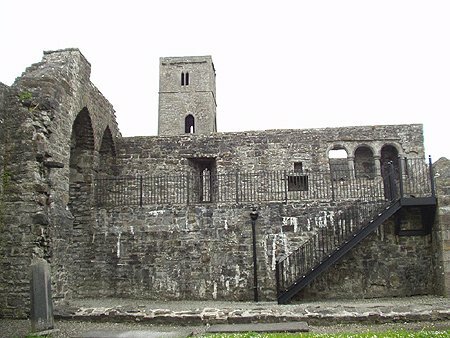 Lord Palmerston restored part of the ruins in the mid-19th century but eventually the Abbey was handed over to the state in the early 1900s and is now open to the public. 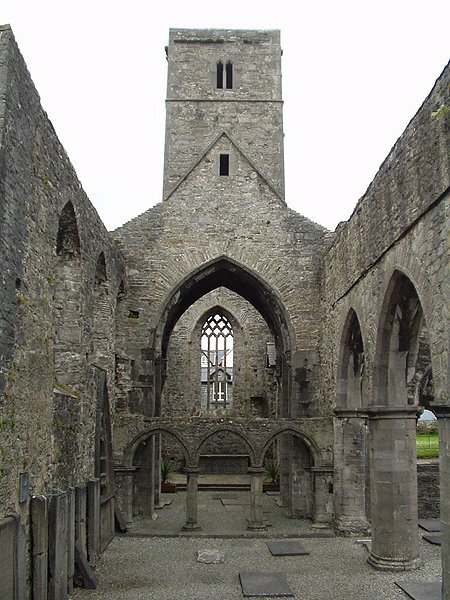 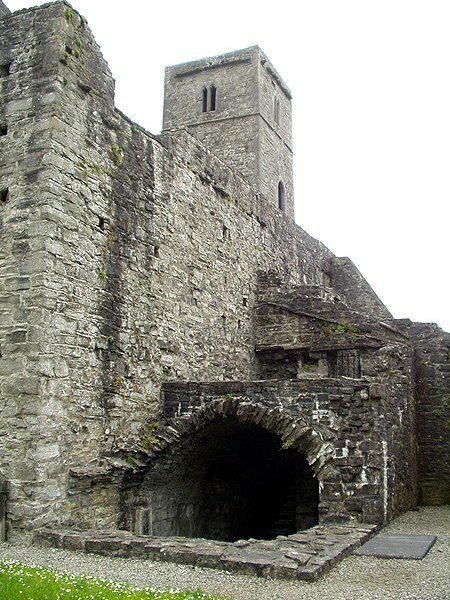 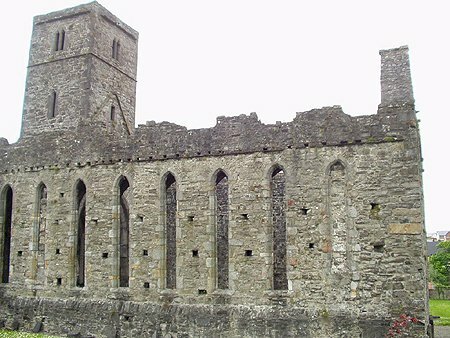 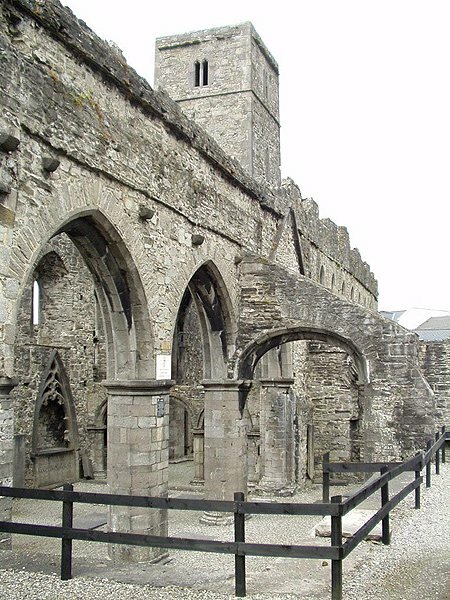 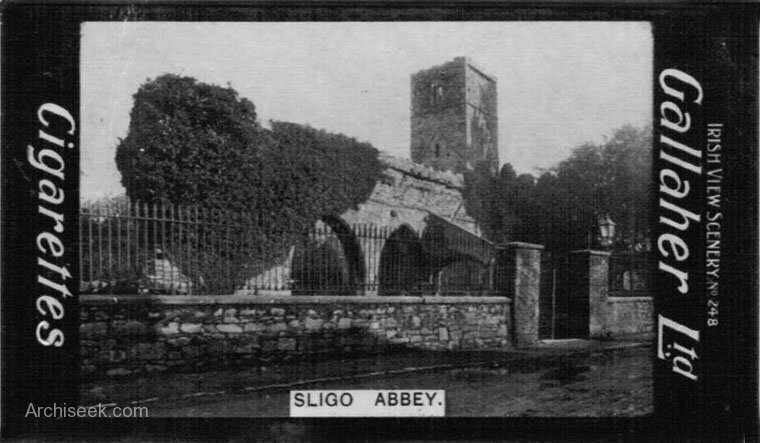 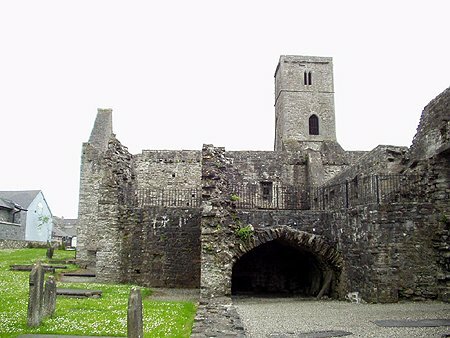 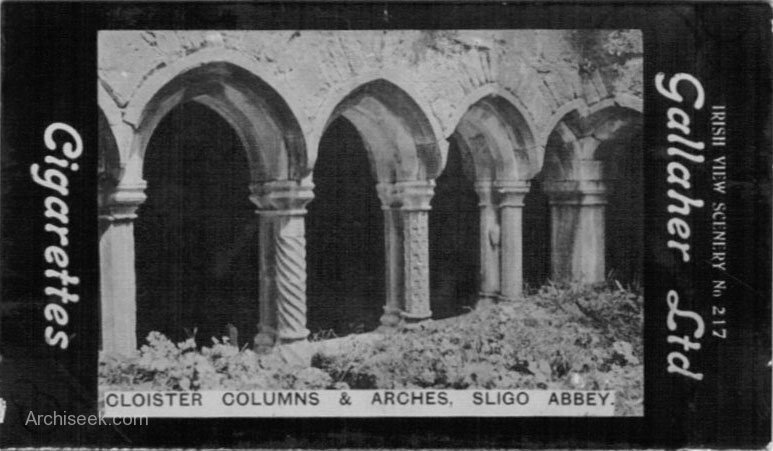 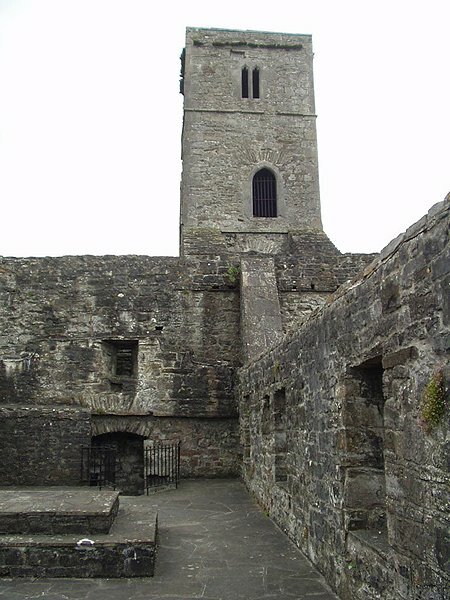 A fine arched tower and three sided cloister of the Abbey Church still survive. 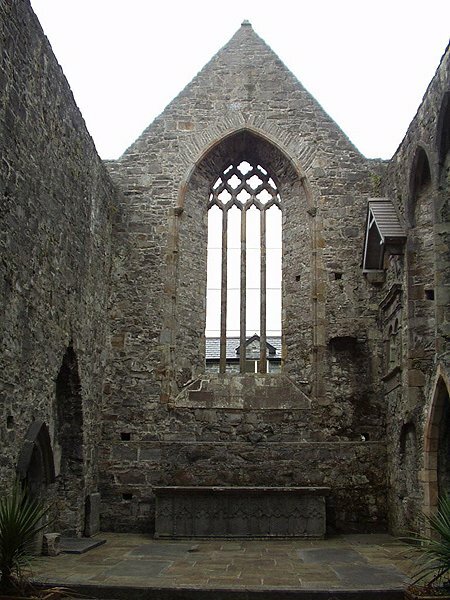 The choir and its eight lancet windows date from the thirteenth century. 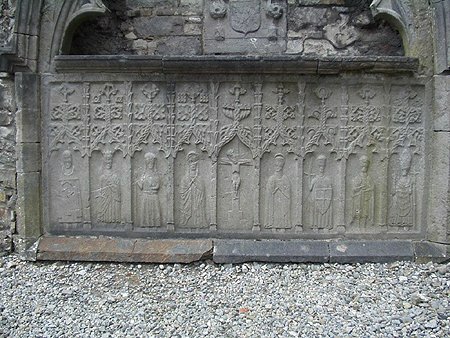 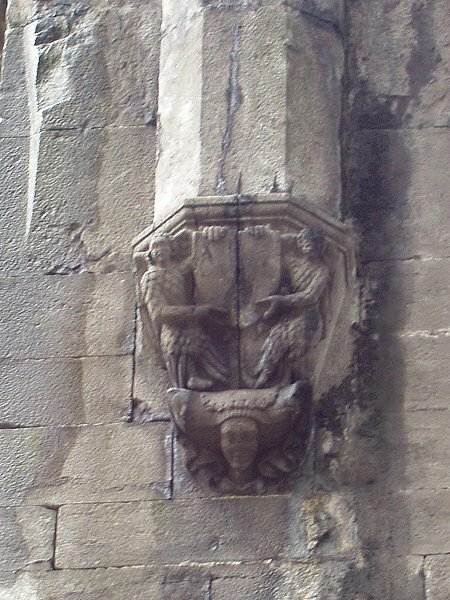 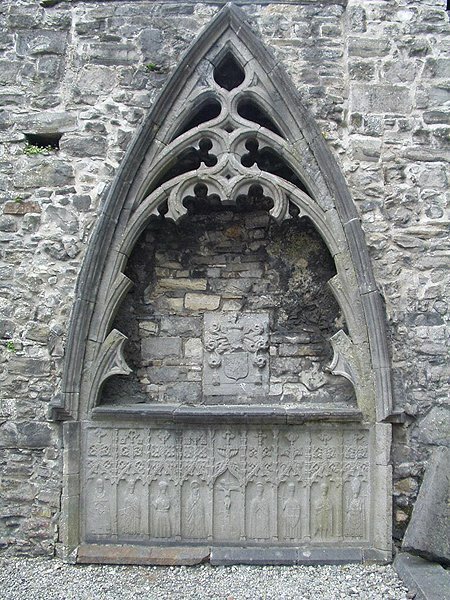 Below is the high altar, the only example of a sculpted 15th century high altar to survive in an Irish monastic church. 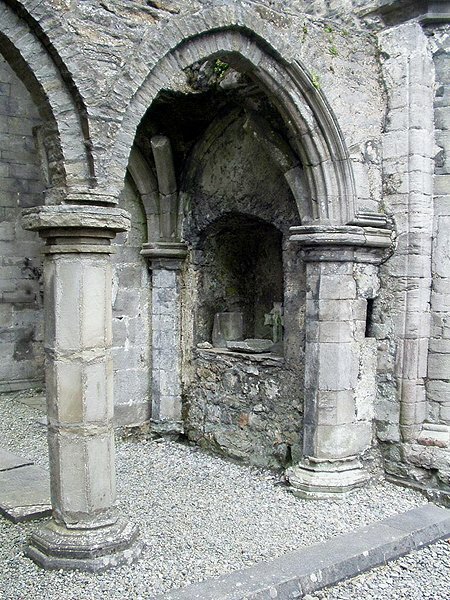 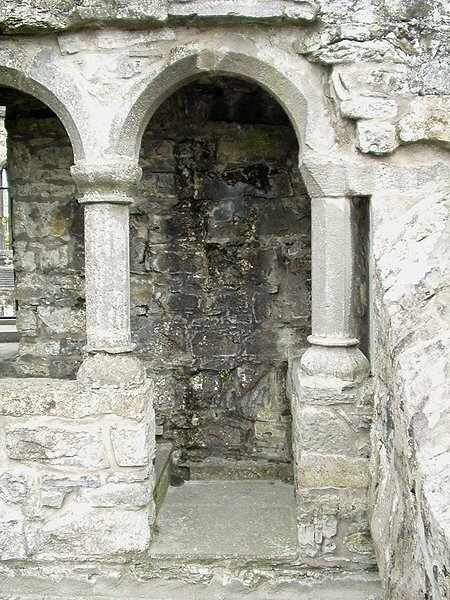 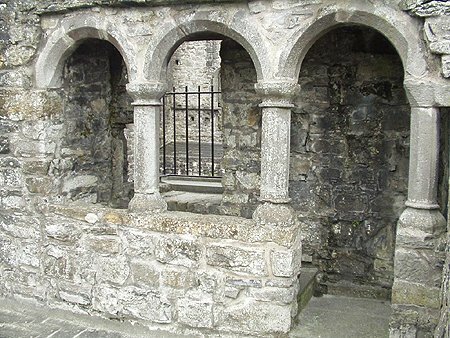 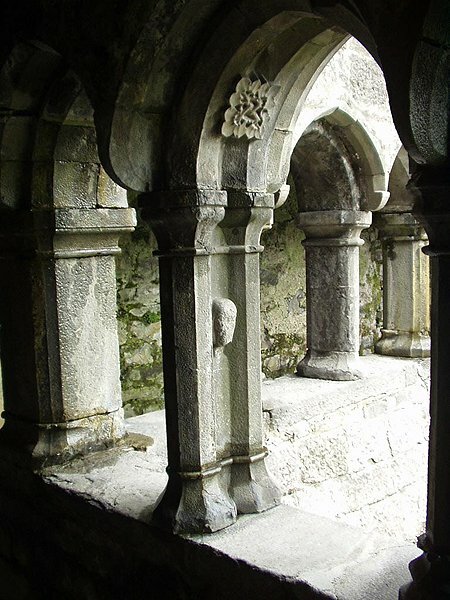 The ruins have some fine decorative features including the fine window in the east end, caved capitals and side altars.